Narcissists worldwide face their own special challenges when it comes to vanity and this book provides the answers. 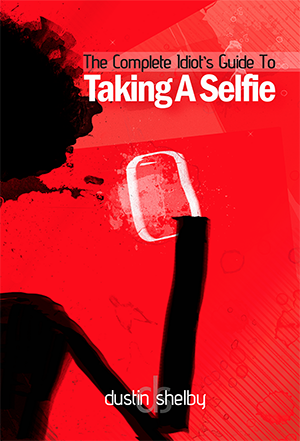 Psychologists treat a growing amount of narcissism daily, and suggest selfies as a healthy way to express vanity. Self absorption is not a task that can be achieved alone, and this book will give you just the tips to taking the picture that will let the world know how absolutely fabulous you really are. This was a student project for my Introduction to Graphic Design class at Georgia State University. The assignment was to create a book cover that could be easily translated into a Complete Idiot’s Guide series. If you would like to fund the creation of this book, and get a one of a kind limited edition item, help kickstart the production of this item by purchasing through the link below.